Serial Killer films are a staple of South Korean cinema. Every year sees films of the genre released in the country to various degrees of success. 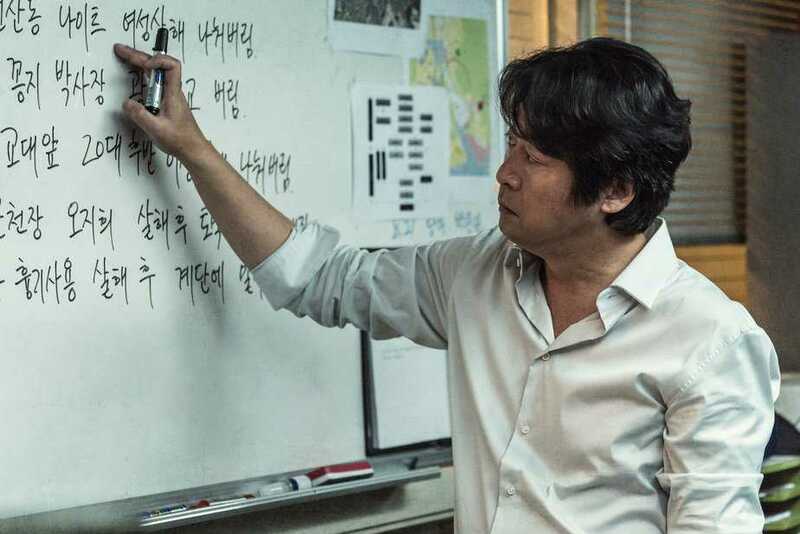 This year, director Kim Tae-kyun’s “Dark Figure of Crime” sees Kim Yoon-seok return to the genre after 2008’s “The Chaser”, a landmark film of the genre. Kim Hyung-min is a respected detective. He is aware of Kang Tae-oh, who is in prison for murder. One day, Hyung-min receives a phone call from Tae-oh, who confesses to Hyung-min that he committed seven more murders and gives Hyung-min clues on the murders. No one believes Tae-oh’s confession except for Hyung-min. Without knowing who the victims are, Hyung-min attempts to uncover the seven murders. The film stars Kim Yoon-seok and Ju Ji-hoon, both of who are coming off a hot couple of years. Kim Yoon-seok was last seen in last year’s “The Fortress” and “1987: When The Day Comes”, which were both well received by the audience while Ju Ji-hoon has been in some of the biggest films of the last few years, including “Asura: City of Madness”, both the “Along with the Gods” films as well as this year’s spy thriller “A Spy Gone North”. “Dark Figure of Crime” is expected to release in South Korea in October, 2018.